The Hermit is among the 11 trumps from the 22 major arcana that symbolize the various stages of the human condition, with the Pope, the Papess, the Emperor, the Empress, the Mountebank, the Fool, the Devil, the Hanged Man, the Unnamed, and the Lovers. 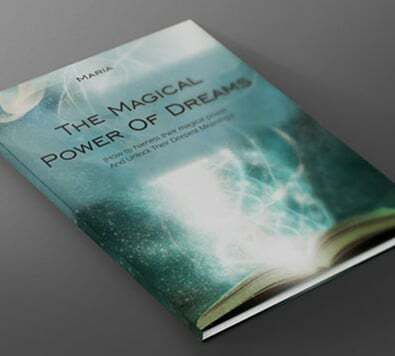 You can find free detailed information about this Tarot card below. The Hermit is the Arcanum of solitude, perseverance, discretion and caution. Drawing this 9th Arcanum is a sign that the pace of every project and achievement will slow down. It is a stumbling block before any hope or expectation. 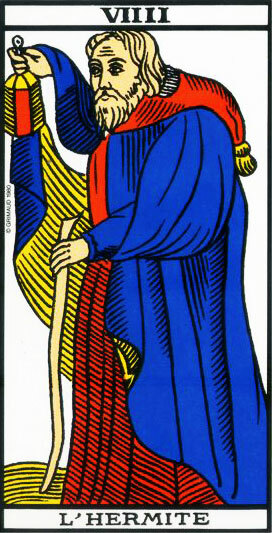 If you draw the Hermit card you should be careful and wary about any undertaking. You might end up isolated and alone. This might put you in a dead end, make you weary of any empty or negligible efforts, which could lead you straight into sadness and despair! It will be a hard time because the longer the projects will be delayed, the higher the risk to see your initial enthusiasm weaken and fade away. Anyway, you will need to try harder than you are used to in order to meet your goals. However, that period will be an opportunity to work on your patience and reflection. It will grant you greater wisdom if you know how to learn your lessons from the challenges to come. Once again, even if that Arcanum might seem negative at first sight, remember that in the Tarot there are no notions of Good of Evil. Things are, period. We are the ones who paint an emotion on words, thoughts and actions afterwards. Failures and trials make you grow stronger than successes do because you constantly put yourself into question. Case in point, this card might look like a bad Arcanum at first, but if you know how to interpret it and follow its advice you will turn the tables in your favor. Hence, anyone drawing that trump in a strong position will be on a mission that will put them on the path of wisdom. They will be lonely for a time, but it will make them stronger. The Hermit tarot card can always shed some positive light on the card that comes before it in the drawing. A seemingly negative prediction will be lessened through wise reflection. They will hesitate between the urge to open themselves to the world or to withdraw in isolation like… a Hermit!